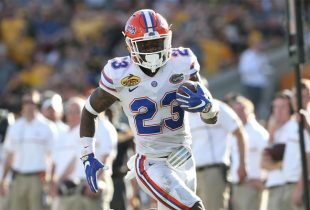 The Florida Gators got a nice bounce back win last week, but they hit the road Saturday for the first time this season to take on a Tennessee Volunteers team that has similarly struggled early in 2018. With both teams debuting new coaches in this series, it will be interesting to see if Florida keeps up its recent winning ways against Tennessee or the tide turns for the Vols in a good home spot against the Gators at night. Here’s what you need to know and how you can watch Florida-Tennessee. Picking Gators games this season has been impossible to this point. Florida has looked great against much lesser competition but failed to impress at all in its one SEC game. You could potentially chalk that up to the team being overconfident or down three defensive starters, but there’s really no excuse for UF to lose to Kentucky, particularly at home. Still, this is a new week and a new test for Florida as it plays its first road game under Mullen in an exceedingly hostile environment. There’s really no preparing for Neyland Stadium, and only so many players on the Gators have experienced it before. Tennessee held its two non-Power Five opponents to a combined three points, but it got molly-whopped by West Virginia 40-14 in the season opener. Florida is not as bad as it looked against Kentucky, and the Gators are expected to get back two defensive starters — primarily star junior linebacker David Reese, whose presence has been missing in the middle of the defense all season. I do think that ultimately makes a difference for the Gators, and while I do not recommend taking anything on a line involving Florida for the foreseeable future, I do lean towards UF here due to its complement of playmakers and Mullen’s head coaching experience. And despite both teams’ recent struggles and memories of the 10-9 game (from 2014) fresh in mind, no game between these programs since has failed to hit 46 points, so hit that over. 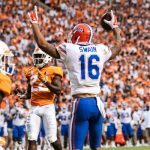 » Florida is 28-19 all-time against Tennessee with a 12-12 mark in Knoxville. The Gators have won 12 of their last 13 games against the Vols (and 22 of 28) but lost the last meeting in Knoxville 28-28 back in 2016. » This is the second time that Florida and Tennessee are meeting with a new head coach leading both programs (1970). The last Gators coach to lose to the Vols in his first season was Steve Spurrier in 1990. » UF has scored in 375 consecutive games, an NCAA record. » The Gators are one of two FBS teams nationally since 2008 (Alabama) to have not lost a single game to a team that ended a season with a losing record. 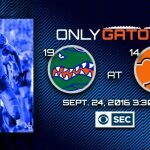 » Florida is also 21-7 against unranked opponents since 2015 and 186-23 since 1990. » The Gators have not started 0-2 in SEC play since 1986. » Florida will wear white jerseys, blue pants and orange helmets on Saturday. » The Gators have already blocked three kicks this season, which ties them for the national lead and is the most for the program since it swatted six in 2012. » Florida’s punt return average (29.5 yards) is a massive improvement over a year ago. It currently ranks sixth nationally and first in the SEC. » Tennessee has lost nine straight SEC games dating back to Nov. 19, 2016.